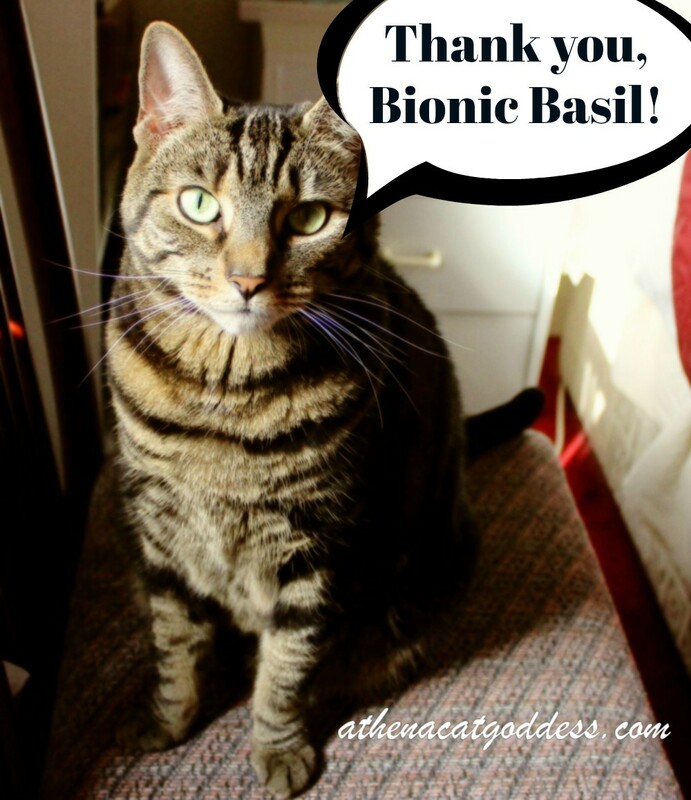 Thank you, Bionic Basil and the B Team for the goodie bag I was lucky enough to win! 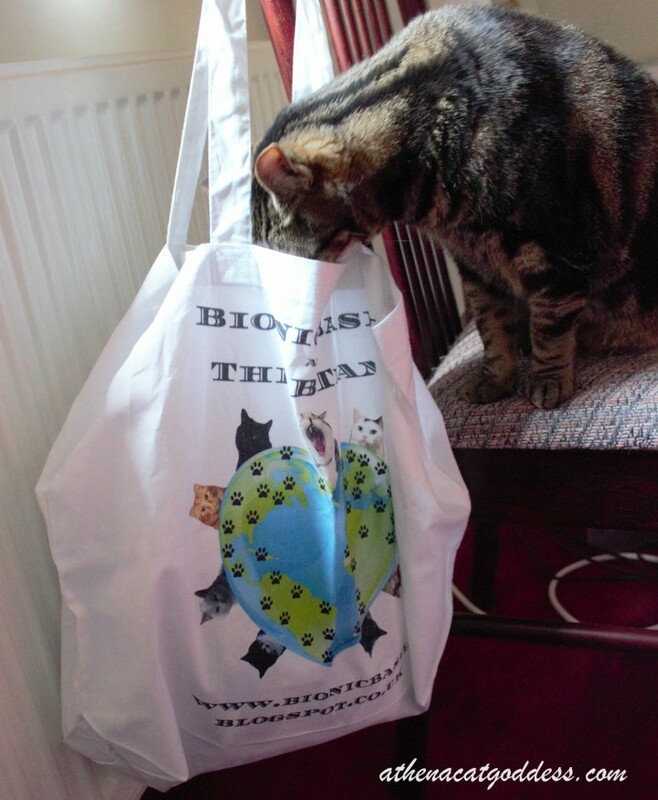 Mum, there is so much stuff in this bag! Look at it all. So exciting! This book looks and sounds amazing. Will you read it to me? This bracelet is just so beautiful. Wow, what a cool prize package! Athena, you got quite the goodies there! Good fur you, lil' lady! It looks like an early Christmas! What fun you'll have going through it all! Purrs! Now that's a pawsome prize! 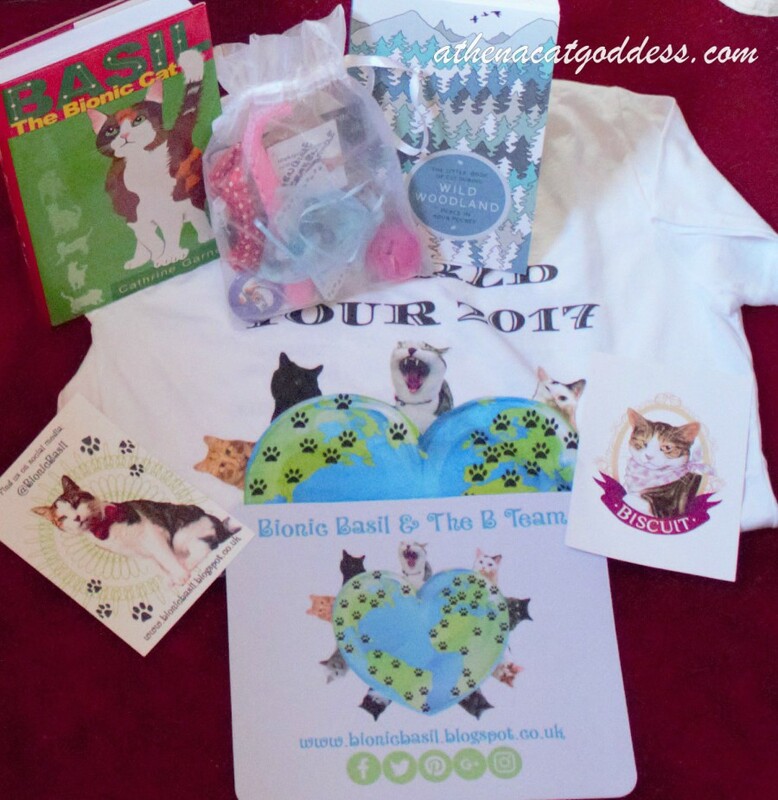 What a wonderpurr prize package you got from Basil and Co.! Congratulations! 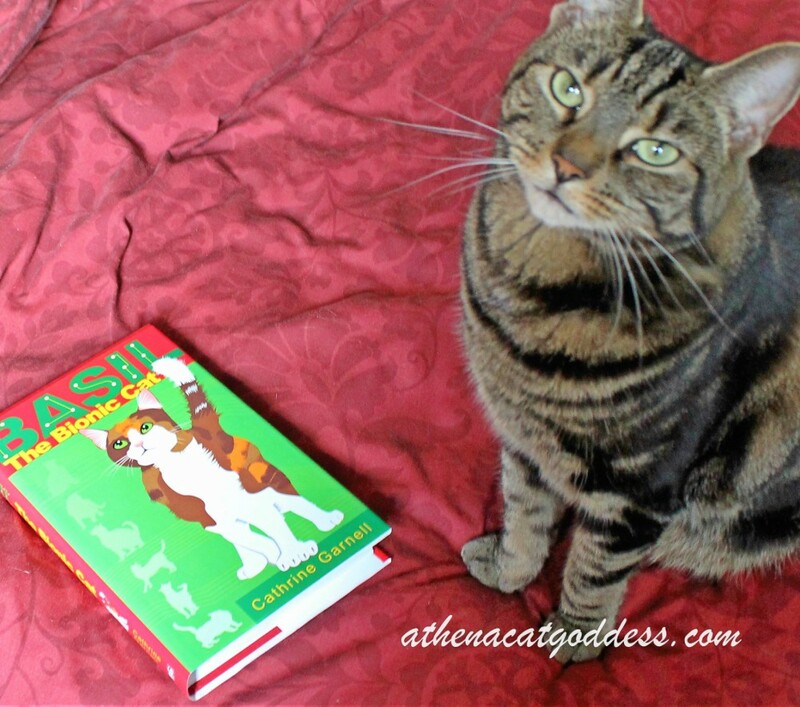 What a pawsome prize package! WOW! You got some really cool stuff! Cathrine sure knows how to put a package together that everyone wants to win! 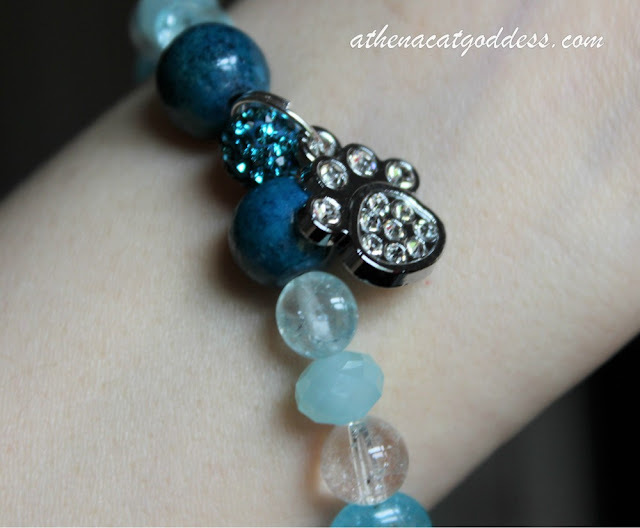 Hey Athena, oh we're are just so delighted that mew liked the goodie bag, and the bracelet was made specially fur your mum - it was placed on one of the huge amethyst geodes in our crystal room to fill it full of happy-healing-vibes!